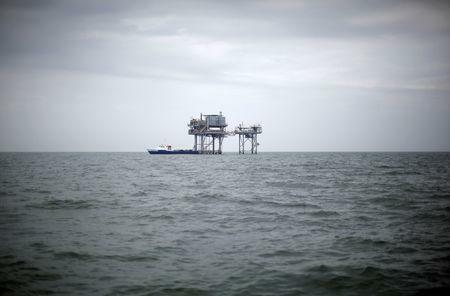 (Reuters) - In 2006, a year after hurricanes Katrina and Rita devastated New Orleans and the Gulf Coast, the U.S. government struck a deal to give states in the region a growing share of offshore drilling revenues to finance projects protecting them from future monster storms. The shortfall, which federal officials blame on low oil prices, has forced the state to put off critical projects as Louisiana's congressional delegation pushes for another increase in its share of federal oil revenues. The predicament shows how states hosting offshore drilling can get burned by the industry's boom-and-bust cycles, providing a cautionary tale for other states as the Trump administration proposes to expand offshore drilling in the Atlantic, Pacific and Arctic oceans. Louisiana's underfinanced coastal projects also highlight the hefty cost of adapting to rising sea levels in a changing climate – a problem scientists blame on consumption of fossil fuels. Several coastal states including Florida, Massachusetts, California, and Washington have urged the administration to leave them out of its drilling plans, arguing the environmental costs outweigh the promised jobs and income. The stakes are particularly high for Louisiana, which has lost about 2,000 square miles of land over the last century because of Mississippi River levees that block silt from reaching its swamps, the oil industry's carving of canals through the marshes, and sea level rise from climate change. But other states and nations should take notice of Louisiana's ordeal, said U.S. Representative Garret Graves, a Republican who managed the state's coastal restoration efforts before joining Congress in 2014. The changes followed national outrage over the administration's botched emergency response to catastrophic flooding from the systematic failure of the federally constructed levee system in New Orleans. But when the states' first payment came in late last year, the payout totaled $188 million. “That has a huge impact on our planning efforts,” said Chip Kline, chair of the state's Coastal Protection and Restoration Authority, which oversees its 50-year, $50 billion coastal restoration plan. Among the shortfall's biggest impacts, Kline said, would be a delay in completing the state’s massive "Morganza to the Gulf" hurricane protection project, a system of levees and floodgates to protect 150,000 coastal residents of Terrebonne and Lafourche parishes from a so-called 100-year storm, defined as having a 1 percent chance of hitting in any given year. "We've been piecemealing this," said Reggie Dupre, executive director of the Terrebonne Levee and Conservation District. "There just isn't enough money coming in," Lane said.